Here are some of the delicious foods that can help you sleep soundly. You can reduce the intake of sleeping pills. Reduce your intake of carbohydrates and sugar in the evening, dinner two hours before bed, so your digestion is not working overtime. Green tea contains theanine, a cup of green tea help you sleep soundly. 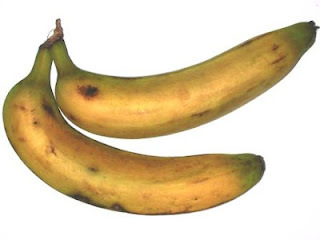 High magnesium and potassium in bananas helps relax muscles. But Ambon bananas (Musa paradisiaca var. sapientum (L.) Kunt.) are not good for ulcer sufferers. Calcium content in milk and its derivatives (yogurt, cheese, etc.) can make you relax. Ensure that consumed at least about 1 hour before bedtime, because for some people milk is difficult to digest. mineral content of magnesium in almonds help you sleep soundly. High mineral content in cereals help you to sleep. Oatmeal contains minerals: calcium, magnesium, silicon phosphorus, and potassium to help you sleep better.